Zeinali Heris, S., Nassan, T., Noie, S. (2011). CuO/water Nanofluid Convective Heat Transfer Through Square Duct Under Uniform Heat Flux. International Journal of Nanoscience and Nanotechnology, 7(3), 111-120. S. Zeinali Heris; Taofik H. Nassan Nassan; S. H. Noie. "CuO/water Nanofluid Convective Heat Transfer Through Square Duct Under Uniform Heat Flux". 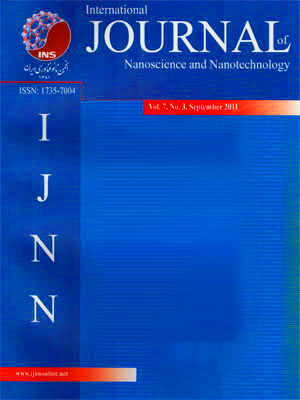 International Journal of Nanoscience and Nanotechnology, 7, 3, 2011, 111-120. Zeinali Heris, S., Nassan, T., Noie, S. (2011). 'CuO/water Nanofluid Convective Heat Transfer Through Square Duct Under Uniform Heat Flux', International Journal of Nanoscience and Nanotechnology, 7(3), pp. 111-120. Zeinali Heris, S., Nassan, T., Noie, S. CuO/water Nanofluid Convective Heat Transfer Through Square Duct Under Uniform Heat Flux. International Journal of Nanoscience and Nanotechnology, 2011; 7(3): 111-120. Sometimes the need for non-circular ducts arises in many heat transfer applications because of lower pressure drop of non-circular cross section such as square duct compared to circular tube, particularly in compact heat. But square cross section has poor heat transfer performance and it is expected that using a nanofluid as a new heat transfer media may improve the heat transfer performance of this kind of duct. In this work, a nanofluid of CuO nanoparticles and distilled water has been prepared and its heat transfer characteristics have been studied through square cupric duct in laminar flow under uniform heat flux. Experiments revealed that a remarkable enhancement in heat transfer coefficient is achieved compared to the base fluid. Moreover, it has been reported that heat transfer coefficient enhances with increasing nanofluid flow rate as well as concentration of nanoparticles in the nanofluid especially at high flow rates. So, ultimate enhancement of 20.7% in Nu achieved at 1.5% volume concentration of CuO/water nanofluid. The basic reason for lower heat transfer rate of square ducts is existence of a static section for some part of fluid near corners of square duct and the results indicated that the presence of nanoparticles decrease this unmoved static section which consequently increase the heat transfer from the duct wall to the nanofluid.